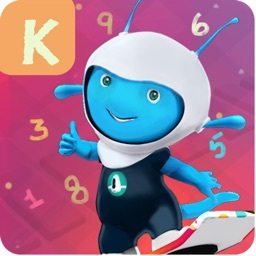 Learn Numbers and Farm Veggies is an educational app for young kids, preschool, pupil and also toddler kids to learn basic counting of numbers. It is suitable to kids at any age who wants to improve and enhances the their counting skills and and knowledge of vegan diet vegetable. Quite challenging even for adults! Knowing the nutritious vegetables can be so much fun. Best to learn by growing kids and also adults to gain knowledge of the food serve at your meals. • Learn the values of the vegetables. • Lots of features available for growing kids. 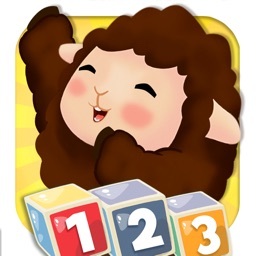 • Learn how to count numbers. • Learn the vitamins and minerals that veggies can give you. • Gives you knowledge about vegan diet. • Playing it more will help kids pass school IQ test quiz exam! • Can also be played under K-12 education and for families. 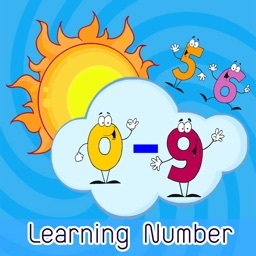 • Leaning Numbers : Learn numbers from 1 to 10 with Becky the Farm girl. 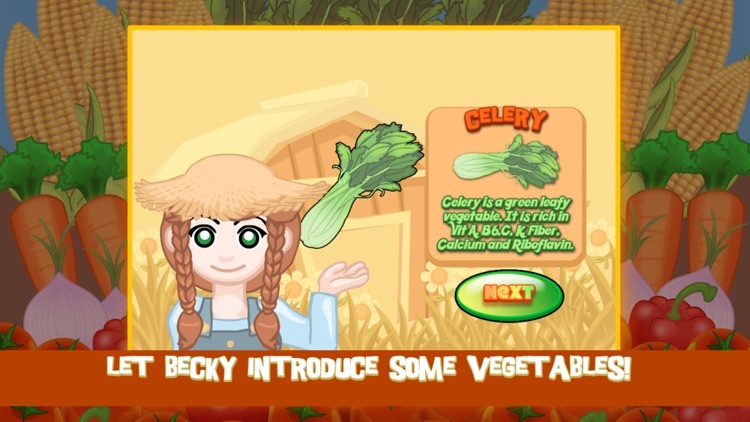 • Knowing Vegetables : Becky the Farm girl will introduce you some vegetables in this education game app. 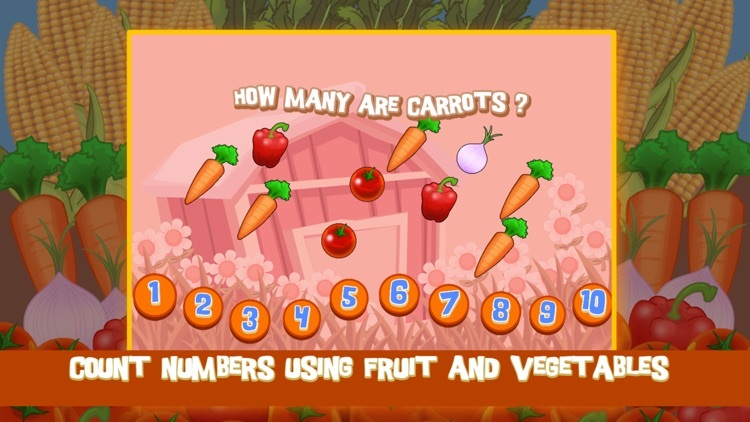 • Counting numbers : counting numbers using farm fruits and vegetables will make the children enhance his way of thinking how many balloons are present in the educational game app. In this mode the child only need to count the balloons and not need to care about what color it is. • Counting Veggies : in this mode of educational app the game asks you how many farm fruits and vegetables are present and the toddler, kid, pupil or preschooler must choose the correct number that corresponds to the number of how many farm fruits and vegetables are in the barn. 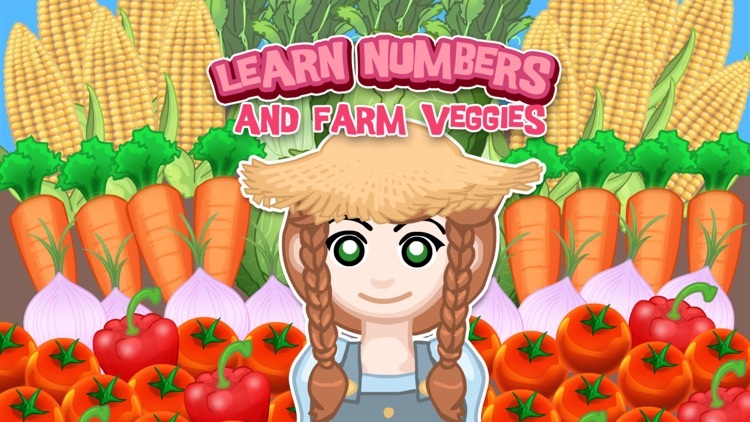 What are the numbers in Learn Numbers and Farm Veggies ? A vegetable is a plant whose fruit, seeds, roots, tubers, stems, bulbs, leaves or flower pars are used as food. They are plants in a vegetable kingdom. Why fruits are in this game? Some fruits are considered as vegetables like tomato, potato, onions and others. 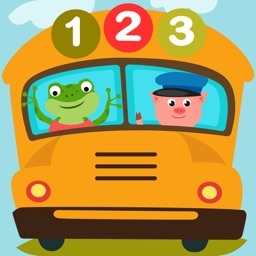 What are the fruits and vegetables in Learn Numbers and Farm Veggies ? • Celery : Celery is a green leafy vegetable. It is rich in vitamin A, B6, C, K, Fiber, Calcium and Riboflavin. • Corn : Corn is a cereal crop that is part of the grass family. It is rich in protein, Iron, vitamin B6 and Magnesium. • Bell Pepper : Bell Peppers are a great source of antioxidants. Antioxidants helps to keep the body in tip top shape! It it rich in vitamin A and C.
• Cabbage : The cabbage is a shaped like a flower vegetable. It is a Green leafy vegetable that is good to the digestive system. It is rich in vitamin C, K, B1, B5 and B6. • Onion: The onion is a bulb shaped vegetable. It’s actually also a fruit. It is rich in biotin, manganese, potassium, vitamin B1, B6 and C.
• Carrot : The carrot is in orange color. The carrot is also a fruit that is rich in Biotin, fiber, potassium, Vitamin A, C, K, B1, B2, B3 and E.
• Tomato : The tomato is a round and juicy fruit vegetable. It is used in making ketchup. It is rich in Lycopene, biotin, Vitamin A, C, K and copper. It is good for the heart. 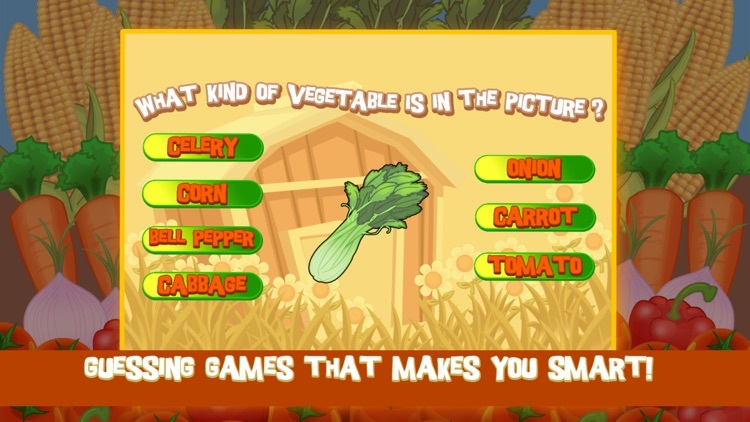 Children who plays this educational game app might also get a much more better sense about some basic vegetables. The child might learn basics of cooking in an early stage to being a professional chef, housewife or just simply good at cooking. Help your kid pass IQ test quiz exams! Also good for K-12 education for families. Come on! 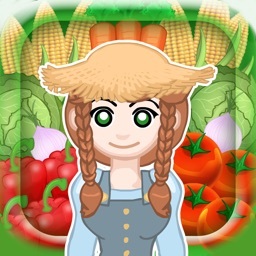 Download Learn Numbers and Farm Veggies today!